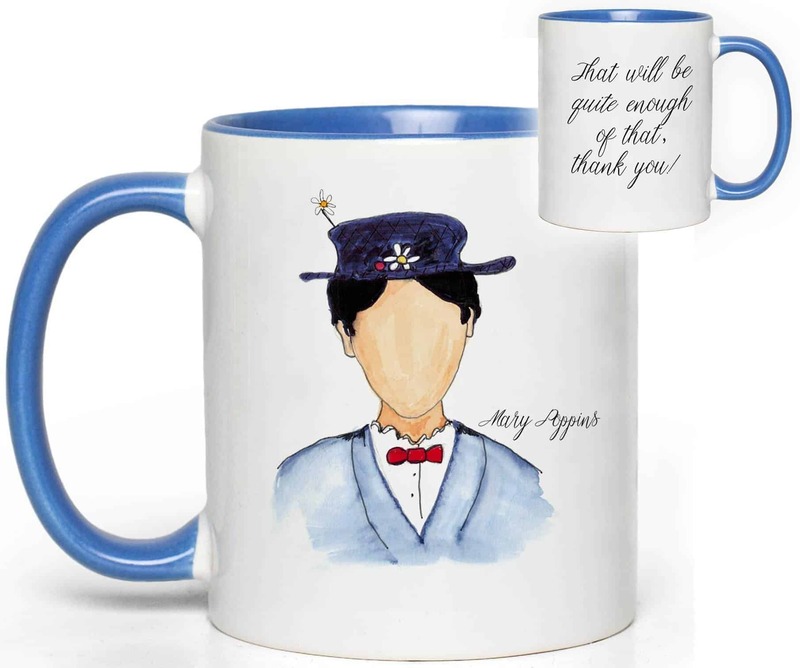 Mary Poppins is a fictional character from the literary works of P. L. Travers, and was adapted into an Oscar award-winning film produced by Walt Disney, in which the role of Mary Poppins is played by the incredibly talented Julie Andrews (pictured in this illustration). Drink a cuppa and then prepare to do the things that need the doing. Spit spot! It features a blue colored interior and handle and holds approximately 11 oz of liquid. 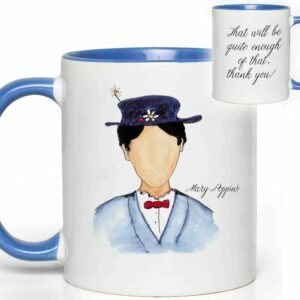 This adorable Mary Poppins Quote Mug is made by a dear friend. We hope you love it as much as we do.